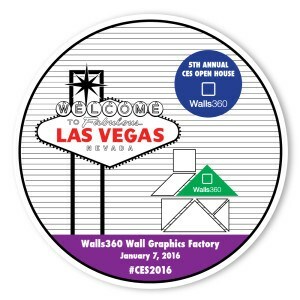 VegasTechFund-backed Walls360 is back with their 5th Annual Open House event for CES! Walls 360 is startup company in Las Vegas, Nevada that creates on-demand wall graphics + custom promotional products for artists, brands, and digital content partners worldwide. On Thursday, January 7, 2016, the team is opening the doors to their offices at 5054 Bond Street in Las Vegas to the local tech community and CES 2016 attendees. Check out all the fun from last year’s event here! This year, the Walls360 team is excited to welcome HUBO, UNLV’s humanoid robot designed to save lives in disasters. HUBO will play a xylophone at the Walls360 open house. Get all the details for the event on Walls360’s blog here!